1990: The crowd are looking up at something at the Mansfield Show. Is it the Red Arrows, an aircraft or someone parachuting? Do you know? 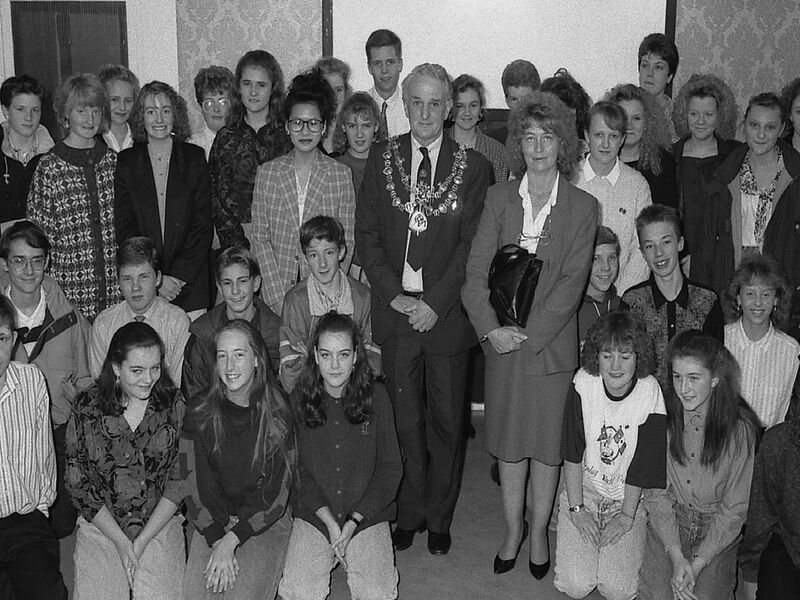 1989: Pupils from the Edwinstowe Antoinette School of Dance looking very graceful. Wonder if they are still doing ballet now? 1989: Runners take to the streets for Mansfield Half Marathon. Did you take part in this event? 1989: Runners have just set off for the A38 run in Sutton-in-Ashfield. Did you take part in this?